Eric Schiffer’s Forbes article sounds like a page right from a Dale Carnegie book. What does that mean? Well, it means he hits the nail right on the head as to what it means to create a customer-centric atmosphere. He starts by talking about imagining Beyonce as one of your clients. Don’t care for Beyonce? That’s fine – think of Tom Brady, President Obama or Kate Hudson. You get the point. How would you treat them if they wanted your product or service? Chances are you would do whatever it took to get the job done – all with a smile on your face. Schiffer throws out an interesting stat: “51% of consumers change brands because of poor customer service.” Wow! Could you be losing half of your potential because your customer service is lacking? “Make a powerful, emotionally-charged connection.” One of the biggest differences in customer service is those who pay attention and address the details. 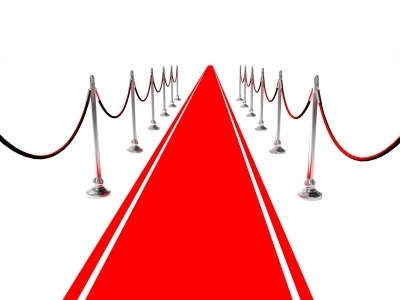 Sometimes this can seem tiring, but it doesn’t cost anything and, in fact, can be exactly what helps you nail that red carpet client. Make the commitment today to choose excellence. To choose to listen, learn and tend to the details. This choice will allow you – personally and professionally – to grow in leaps and bounds.